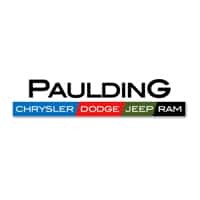 We offer a variety of tires for your vehicle at Paulding CDJR. To help you decide which is best for your vehicle, here is an explanation of the different types of tires. All-season tires are a great choice if you live somewhere that doesn’t see major fluctuations between summer and winter driving conditions. They’re made of rubber that stays flexible in warm and cold weather and do a pretty good job in dry and wet weather alike. All-season doesn’t mean “all-purpose” though. For temperatures consistently below 45 degrees or in heavy snow or ice, all-season tires are actually not the best choice. Specifically designed to handle cold temperatures and snowy and icy roads, winter tires stay flexible even in freezing weather and feature aggressive tread for superior handling in snow and ice. All-terrain tires seek to find a balance between off-road capability and paved road performance. These are often a great choice for drivers who mostly drive on paved roads and streets but occasionally venture off the beaten path and need something capable of handling some off-road terrain. As the name implies, mud tires offer excellent performance in muddy terrain. These rugged tires also do well with rocky terrain and deep snow. While mud tires are unbeatable in certain circumstances, they typically underperform on normal paved roads compared to other tires. Low Profile tires have short sidewall and wider tread area. This results in improved handling and performance on the road. Low profile tires offer better grip on the road and offer drivers increased stability around corners. Keep in mind, though, that a thinner sidewall means greater susceptibility to damage and deflation from potholes and other road hazards. Performance tires are typically low-profile tires with even larger tread blocks, resulting in excellent dry traction and grip. Often found on sports cars, these tires deliver great performance at high speeds. Performance tires tend to cost more than other tires, though, and wear out faster.